Important. Open Enrollment for 2017 will begin on November 1, 2016 and last until January 31, 2017. You can purchase a Marketplace health plan outside of Open Enrollment only if you qualify for a special enrollment period. You can apply for Medicaid and CHIP any time. Find out if you qualify for a Special Enrollment Period or Medicaid and CHIP. Through Covered California, you and your family can compare affordable, quality health insurance options and choose the one that best fits your needs and budget. By law, your coverage can’t be dropped or denied if you have a pre-existing medical condition or if you get sick. You may even be able to get financial assistance through Covered California to make your health coverage more affordable. Covered California is pleased to announce that adult dental benefits are now available through family dental plans. All plans include free preventive and diagnostic care, like cleanings, X-rays and exams. Family dental plans are offered during the renewal period, for Covered California members, and during open enrollment. Family dental plans are also available during special enrollment to new enrollees in Covered California. Adults with and without children can enroll in family dental plans, but they must purchase a health plan through Covered California in order to be eligible. See the Covered California Shop and Compare Tool to compare plans and pricing. We can assist you with any questions you may have and enrollment. 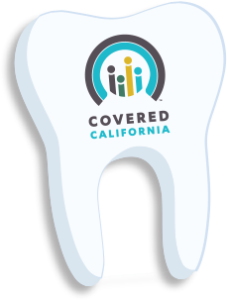 Embedded children’s dental coverage is part of all health insurance plans sold through Covered California, so no additional enrollment is needed to receive children’s dental benefits if you already have a health insurance plan through Covered California. The dental benefits for children are part of the coverage you have purchased. Family dental plans (available to both adults and children): Dental coverage for adults is not an “essential health benefit” under the Patient Protection and Affordable Care Act, so dental coverage for adults is offered separately from the health insurance plans through family dental plans. No financial assistance is available to purchase these dental plans. Embedded children’s dental coverage (benefits already included in all health plans): Under the Affordable Care Act, children’s dental coverage (for consumers younger than 19) is an “essential health benefit.” In 2016, all health plans offered through Covered California will continue to include children’s dental coverage. Children under 19 are automatically covered by dental benefits that are embedded in health plans purchased through Covered California. However, some parents may choose to enroll their children in an optional family dental plan for additional dental coverage. Covered California is pleased to offer consumers a pathway to quality vision coverage. Children’s vision care is an essential health benefit under the Patient Protection and Affordable Care Act, so vision benefits for children are included in all Covered California health insurance plans. Vision care for adults is not considered an essential health benefit and is not offered in Covered California plans. But in an effort to help Californians of all ages access vision coverage, Covered California is contracting with certain vision insurance companies to offer vision coverage directly to consumers. 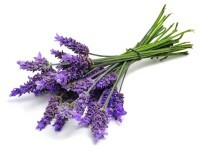 Review the benefits provided under the plan. Consider your budget, life circumstances and vision care needs. Review the company’s provider directory to make sure that providers are available in your area. Enrollment in a vision plan is handled directly through the vision companies listed below and not through Covered California. Shoreline Health Insurance Services can assist you in selecting a vision plan that suits your individual needs.